One of the key components of my weight loss success was learning how to use my body again. I would not have had the success I had without the help of physical therapy where I learned about my muscle imbalances and how to correct them. Below is a letter I sent to St. John Lakeside Physical Therapy after completing my first round of treatment in September of 2013. I have since completed a second round of physical therapy in January of 2015 to address my remaining imbalances. As a result I was able to join LA Fitness where I continue my exercise program and participate in Pilates and yoga. 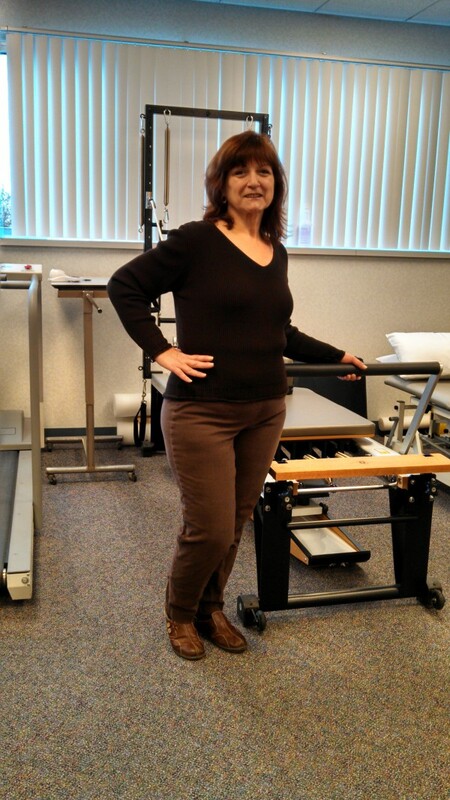 I also joined the St. John Physical Therapy FIT program so I can continue my work on the Pilates Reformer. You can visit their Facebook Page for helpful tips. I am writing to express my thanks and gratitude to St. John Physical Therapy and specifically my therapist Karen Zuccaro of the Clinton Township Satellite (now relocated to Lakeside Physical Therapy) where I recently completed my therapy for Sacroiliac Joint Dysfunction / Piriformis Syndrome. I had previously had physical therapy sessions with Karen in the past and it was those experiences that helped in my decision of where to go for my SI issues. You see Karen has always been honest with me during therapy. It is this honesty and her extreme professionalism that makes her the best therapist I have ever had. But to better understand how Karen has helped me you need to know a little about me and my situation. I am 53 years old and have been overweight most of my life. I did manage to lose a considerable amount of weight while in my early 20’s getting down to 115 pounds through diet and exercise. 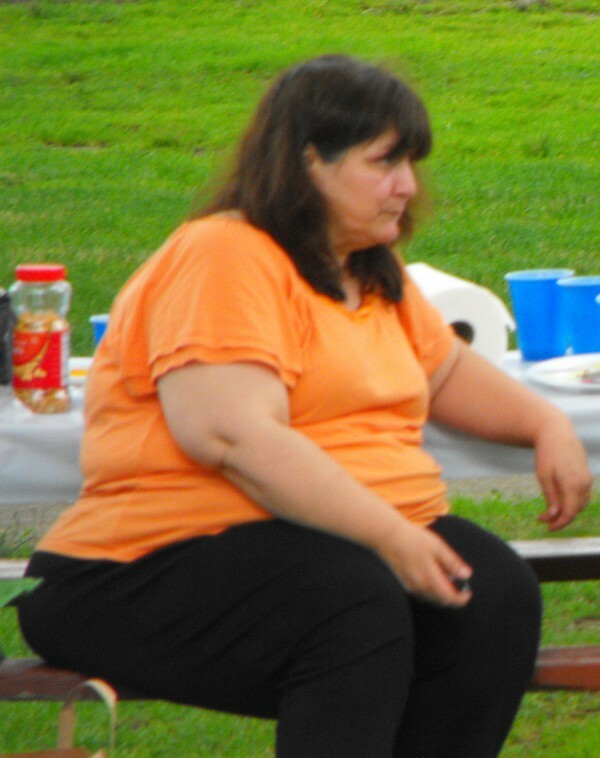 The problem was that I didn’t make permanent lifestyle changes and the weight came back – about 10 pounds worth a year. I tried different weight loss programs here and there over the years and had some success losing again but inevitably the weight came back. I have recently had a considerable number of life stressors. Taking care of me was the last thing on my mind and I ended up at my highest weight ever and with a body in pain due to muscle imbalances and joint dysfunction. My situation was affecting my ability to perform my job and take care of my home. I also found myself more prone to injury while performing day-to-day activities – falls, pulled muscles, etc. I was never one to take pain medicine so when I decided to see Dr. Daniel Ryan and he put me on this type of medicine I finally had relief. He also told me that I had scoliosis and that one of my legs was shorter than the other. After getting an injection in my SI joint that offered little long-term relief I decided that it was time to take care of me. I considered starting an exercise program at the gym I had been paying a monthly membership to but had never really utilized. It was during my online search for gym shoes in May of this year that I discovered a link to a two-week test for insulin resistance. With my family history of diabetes I thought “Why not?” and proceeded with the test, eliminating all grains, processed foods and sugar from my diet. Much to my surprise I started feeling great and my energy level increased dramatically. When I started losing weight I decided to continue with this lifestyle change. After more research I adopted the Primal / Paleo lifestyle and cleaned out my cupboards of all food I wouldn’t need anymore. While my weight continued to drop over the next months and my overall muscle pain lessened my SI joint pain did not. I knew then that if I started working out in the gym I would only end up hurting myself further because my body had forgotten how to work properly. When I asked Dr. Ryan if he would prescribe physical therapy for me and told him I wanted to work with Karen he did not hesitate to write the prescription and support me in my decision. During my evaluation with Karen we discussed my goals for treatment – decreased pain, reversing my functional limitations and my eventual transition to the gym! This time in treatment I was determined to make the most of my experience and I knew that the only way to do so was to follow the program Karen outlined – which meant I needed to start doing my therapy exercises at home – no excuses. At first I was discouraged and a little depressed after realizing how limited I was in my ability to do the exercises she outlined. But I really wanted to succeed and learn and it was when I realized that Karen wanted me to succeed and wanted to educate me that I started feeling hopeful. I started asking questions – lots of questions. If she introduced a new exercise I did additional research online and ended up with more questions. I started learning the names of the muscles she was having me work and ended up asking even more questions! Never once did she make me feel inferior due to my lack of knowledge and she explained things in detail so I would understand my body mechanics. During my therapy I started making slow but steady progress. Karen challenged me with exercises to help with my SI joint dysfunction but also showed how my bad posture could hinder my outcome. She taught me about my muscle imbalances that were contributing to my ever present anterior pelvic tilt and discussed my need for orthotics to help with the over-pronation of my right foot. These issues were all contributors to my back pain. If Karen hadn’t taught me about these things I am sure whatever work I did to address my SI joint issues would have been in vain. With all of the positive aspects to my therapy that I mentioned above I would be remiss in not mentioning the one aspect to Karen’s work ethic that I will never forget and that is her compassion. Prior to therapy I had been experiencing pain in my lower right side in addition to my back pain. I was worried that I may have serious female problems but I was too afraid to voice my concern to anyone. During my therapy Karen manipulated the muscles on that side and explained that my hip flexors were tight. As I felt the pain decrease (the same pain described above) I burst into tears. Right away Karen thought she had injured me but when I explained through tears that she had not and about my fear that the pain was something more serious she took the time to let me compose myself and then explained how my muscles work to support and move my pelvis. She never once made me feel embarrassed or ashamed for my breakdown and offered me emotional support when I needed it the most. After finishing seven weeks of therapy with Karen I have indeed met the goals we outlined on my first visit. More importantly though is that I realized that physical therapy is not a quick fix and that I own the problems with my body and that I am responsible for my recovery. I know that my recovery will have to be a continuous effort on my part using the tools that Karen has taught me. I still have pain but I know how to listen to my body for feedback and am learning to move with proper form to lessen the pain and prevent injuries. I know which muscles I need to strengthen and which muscles I need to stretch. I know how to walk properly and do stairs; using my glutes to help in these movements which has lessened my pain. I know how to do a pelvic tilt and can now do 30-second planks and bridges! I have improved my posture as I noted yesterday when I caught my reflection in a store window and almost didn’t recognize myself. And yes, I finally bought the gym shoes that I was searching for online in May and have successfully taken my therapy program to the gym where I see many people moving with improper form who could sure use a therapist like Karen to show them how it’s done! Even though my problems may not be considered serious compared to some of the problems you treat at your facility they affected every aspect of my life and I knew that if I couldn’t get control of the issues I would end up having worse injuries / issues as I approached my later years. 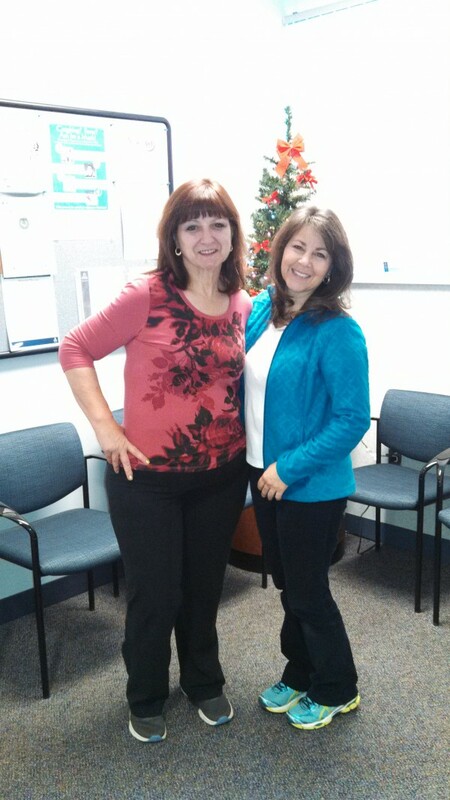 I can’t thank Karen enough for the tools that she has given to me and for helping me improve the quality of my life. Disclaimer: The information on InConnection.com is for informational purposes only and is not intended to diagnose, cure or replace medical advice. Any views or testimonials expressed on InConnection.com, by the owner, is either from personal experience or from information found via the World Wide Web. It is recommended that you seek advice from a trained medical professional before starting any new fitness/weight loss program. Learning to move again with the help of physical therapy!